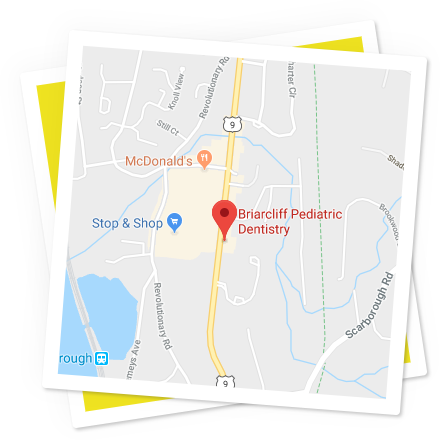 Welcome to Briarcliff Pediatric Dentistry! Our doctor comes from a long line of physicians. Dr. Bijoor has been practicing for over 30 years and has invested much time into education and training. She is board certified in 3 continents! Dr. Bijoor is affiliated with Phelps Memorial Hospital as well as Sleep Hollow, NY, where she performs surgery in the OR at both locations. In addition to our doctor being highly trained, we have a very caring staff. Our staff takes the time to create individual,personalized treatment plans for each child that we see. Our practice is geared towards providing comprehensive pediatric dentistry for infants, children and adolescents, and patients with special needs. 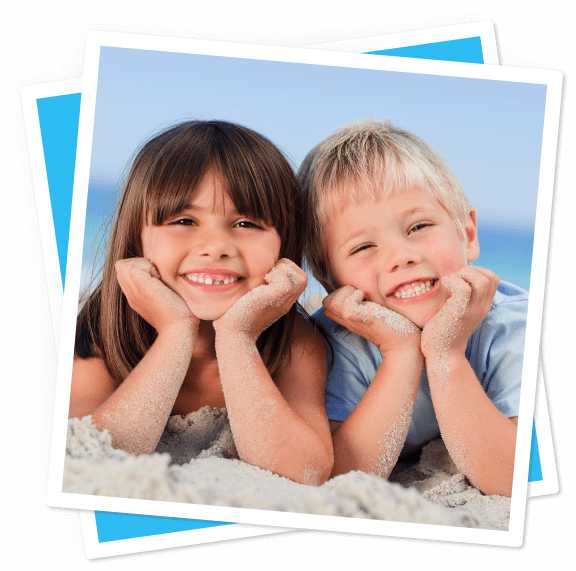 Our mission is to provide the highest level of oral care possible for your child, using evidence-based dentistry and current technology, along with the most effective and gentlest techniques, to ensure the healthy smile of your child! Vision: Helping children smile through life. We strive to make every visit for every child a positive experience. Our modern state-of-the-art office is equipped with fun-filled activities, games and toys to make your child’s visit enjoyable and memorable. Our staff is very friendly and courteous and every member works hard to make your visit as pleasant as possible. We offer a range of services that are truly unparalled and unmatched, to suit the varied needs of every patient. Dr Renuka Bijoor is one of the leading pioneers in the use of the Turbo Laser (Waterlase, Biolase) for pediatric dental care in the tri-state area. 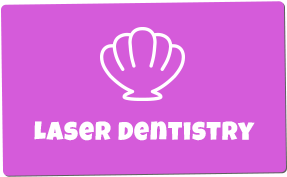 Laser dentistry is an amazing way to provide hard and soft tissue treatment, making it incredibly easy to provide quality dental care in a much gentler, efficacious and atraumatic manner. This means we attend to children’s cavities without the use of shots (local anesthesia) and with almost no use or very limited use of the drill. No numbness of the lip or tongue or cheek. No uncomfortable vibrations or high-pitched sounds of the drill! Dr Bijoor is the only provider in Westchester, Putnam, Rockland and Dutchess counties to use laser technology to release lip and tongue ties. The laser can release lip and tongue ties in a matter of minutes, allowing newborns, infants, and children to benefit from the advantages of breastfeeding rightaway. This amazing technology is revolutionary in helping sort out the frustration of new mothers who are facing difficulty with breast-feeding. Our office follows the guidelines of the American Academy of Pediatric Dentistry and recommends that the first visit should be at age one or six months after the first tooth erupts, whichever come earlier. Establishing a dental home is so important in ensuring that the child starts a lifer-long journey on the road to excellent dental health. Gentle pediatric dentistry starts with prevention and early intervention, to avoid major painful or traumatic problems. We strive to create a positive dental experience to keep our young patients excited about taking care of their teeth. We also offer the option of hospital dentistry to provide comprehensive dental treatment for very young children with extensive dental decay or patients with special needs who are unable to tolerate dental treatment. All the treatment is carried out in one session under general anesthesia, eliminating multiple, long and uncomfortable sessions in the dental office. 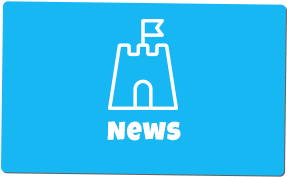 My 7-year-old son, Christopher, has been receiving speech therapy since the age of 2, and his therapists advised me that a frenectomy would need to be performed in order for his speech to improve. I, however, resisted having the procedure performed for a long time, mainly because Christopher gets anxious about dental visits, crying hysterically and vomiting at the mere mention of a dental check-up. When my brother-in-law told me about a new and painless way that frenectomies are being performed by Dr. Bijoor, with the waterlase laser, I reluctantly agreed. I took Christopher in for the procedure on July 16, 2010, and to this day, I remain astounded as to how well it went. From the moment we walked into her office, Dr. Bijoor and her staff put us all immediately at ease. Dr. Bijoor allowed me to accompany Christopher into the operating room until the start of the procedure. She then proceeded to explain to me in detail what would be happening during the procedure, answered all of my questions, and even gave me some exercises to do at home with Christopher in order to improve his speech. To my amazement, only a topical anesthetic was used on his frenum in preparation for the frenectomy, and Christopher sat in the chair totally alert yet completely comfortable through the whole process. There was no bleeding involved at all, and thus no stitches were required. To top it all off, there was no recovery time needed. Christopher walked out of Dr. Bijoor's office as if nothing had been done, with absolutely no pain or discomfort. Since the procedure was done on a Friday, Dr. Bijoor was kind enough to provide us with her personal cell phone number in case we needed to speak with her over the weekend, and first thing in the morning on Saturday, Dr. Bijoor called us herself to find out how Christopher was doing. I have never before encountered a doctor, in any medical field, who takes such personal care of, and interest in, her patients. Because of her and her equally caring and patient staff, my son is no longer terrified of dental visits (ironically enough, it took a frenectomy with the waterlase laser to alleviate his fears of dental check-ups!!). Furthermore, his speech has markedly improved in the last month, something that has been noticed not only by me and my husband, but also by Christopher's speech therapist. We can't express with mere words our gratitude to Dr. Bijoor and her staff for the positive and permanent difference they have made in my son's life, in terms of his structural issues, his speech problems, and his dental fears and anxiety. Many, many thanks to you, Dr. Bijoor and staff!! My daughter, Hailey, needed an upper lip frenectomy at 2 ½ months. Dr. Bijoor was able to use the laser for the procedure, which took less than ten minutes total. The area healed very quickly, within days, and Hailey seemed to experience little, if any, pain. The procedure seems to have helped her breastfeeding as well! Dr. Bijoor and her staff were very helpful in calming my fears and of the procedure and were very gentle and caring towards my baby. 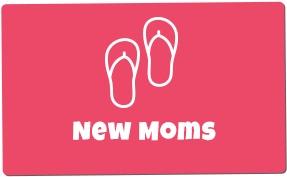 I definitely recommend them to others who need to have this type of procedure done on their infant! I have been having a difficult time nursing my daughter ever since she was born and after a month of dealing with her poor latch, I got in touch with the lactation consultants from the hospital. We came in for an observation and found out that my daughter had a short frenulum and suggested we tell our pediatrician how it is affecting her nursing and weight gain. Our doctor gave us a number to a pediatric oral surgeon. They said that they would put my then six week old daughter under general anesthesia to give her the frenectomy. I was against "putting her to sleep" especially at such a young age. My niece in California also had a frenectomy, but it was done by her pediatrician in her office. It was quick and it really helped with her latch, but my sister in law warned me that there was more blood than expected. I wanted to have the procedure done to ease the pain of nursing so with the recommendation of another nursing mom; I got in touch with Dr. Bijoor. During our consultation I was told that she would be doing the frenectomy with a laser, which is pain free with no bleeding. I was able to schedule the procedure the following week. My daughter was taken to the back room, while seated in her car seat while my husband and I stayed in the waiting room. I literally heard her cry for less than three seconds and then, after then minutes, I was able to go to the back room and see her. She was asleep! I guess there really was no pain! I was told that she initially cried when they had to stabilize her tongue, but she did great and because she cooperated, they were able to do a full release. We carried her to the car where I was able to nurse her with no difficulty. After a week, nursing was completely pain free! I am really happy with the decision of getting the frenectomy and am so happy we went with using the laser with Dr. Bijoor! My daughter didn’t bleed and because she fell asleep during the procedure, it must have been pain free and she didn’t have to be "put under." I would recommend Dr. Bijoor's laser frenectomy to any babies with a short frenulum who are having a difficult time nursing. Because of the procedure, I am able to nurse my daughter and give her all the benefits of breast milk that I wouldn’t have been able to do without Dr. Bijoor! Make an appointment today!Contact our office today for any questions you may have or to schedule an appointment for your next visit!